When you talk about the most dangerous sports in the world, motor sports are often overlooked, but as history has shown us, they shouldn’t be. Many drivers have lost their lives on the race track over the years, and today, we were reminded that it’s not only the drivers who put themselves in danger at Formula One events. 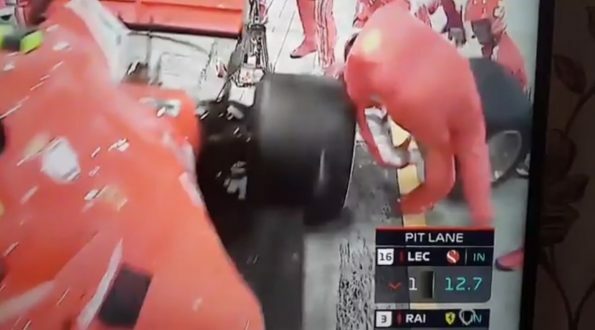 During the Bahrain Grand Prix, Ferrari’s Kimi Raikkonen was in the midst of a pit stop when he was instructed to leave by one pit crew member while others struggled to change his back-left tire. The result was a DNF for Raikkonen, and a brutal leg injury for one Ferrari pit crew member.